May Lord Jagannath bless us all with devotion. This year Snana Yatra is celebrated on Friday, 13th June, the Purnima (full moon day) of the Hindu month of Jyeshtha. 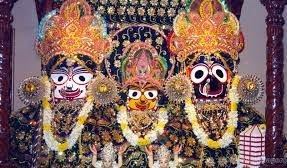 It is believed that Lord Jagannath will clean the sins of devotees, who gets vision of the Lord on this day. Hundreds of thousands of devotees visit the Jagannath temple on this occasion.